Fitting: It is one of the priorities that you need to look after while purchasing any work boots. It needs to go well with your size and accessories so that you can feel the comfort for long walkings. Picking up a shorter pair will inevitably crowd your feet and will cramps in it, whereas if you are choosing the extra large, it will create a massive movement around your feet and make it comfortable for you to walk. So while selecting the shoes try them with your woolen socks, so that makes it suitable for you. Don’t jump up on the one you find, make sure that the boot have quite enough space for toes to wiggle around. Insulation: Insulation is one of the most important aspects especially when we are going to pick winter work boots for you. The work boots you are going to choose for winters should need to be quite efficient to make your feet warm in icy conditions as well. They need to be constructed from insulated material to trap heat inside it. Also, choose the one that has comfortably cushioned soles as well to make your experience extremely best. Water resistant: Don’t forget about the waterproofing while checking up the best pair of winter boots for you. As you may be familiar to the fact that water conducts temperature than anything else can do. So if your work boots will not be made resistant to water, the chances of getting frozen from toes will also rise up and especially when it is freezing. Try to choose a work boot with inbuilt water resistant such as leather or plastic so that to keep your toes warm even in icy conditions as well. Lacing options: Along with comfort and fittings, you also need to look forward with the lacing choice of your work bots as well. Laces of your shoes help you in making your shoes more comfortable for you just by fitting them tightly as per your expectations. They will not only assist in matching only but are a more significant source to prevent the entry of heat transfer from the boot and hence keeps your toes warmer for more extended hours. The weight of the shoes: Weight of the boots makes it easy to carry out your work boots more comfortable, and it gets very critical when we talk about the winter work boots. Winter work boots are usually more massive than the usual one. They are being created in such a way that you can comfortably wear them in snow and other extreme cold conditions as well. You can quickly test upon the various shoe weight options in the market, and they can check out the best one for you. Search stores on different platforms: Before jumping upon any conclusion related to the purchasing or best work boots for winters, it is entirely necessary to search through different platforms first. You can search h online as well as offline stores also to select the best one for you along with your preferred price tag and other preferences as well. So guys! These are the tips that you can consider about while picking the best winter shoes for you. 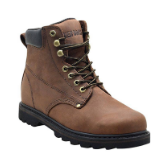 As there is a quite wide range of style and models available in the market, you can quickly check about 15 best work boots to get your comfortable option. Just get the best one as per your requirements and your priorities that whenever you want for winter at an affordable price.